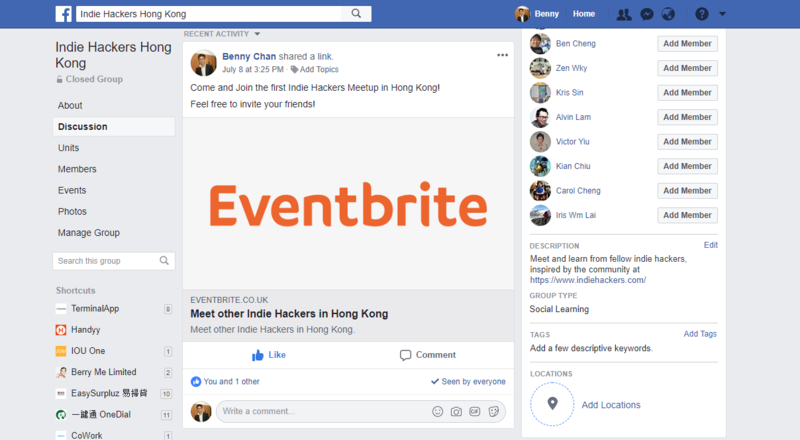 How can I edit Facebook link preview for Eventbrite? The how-to series will illustrate how we can help to improve other tools that you're using. Whether you're an event organizer, a marketing agency, influencer, publisher, we can help you to improve your presence across various social platforms. 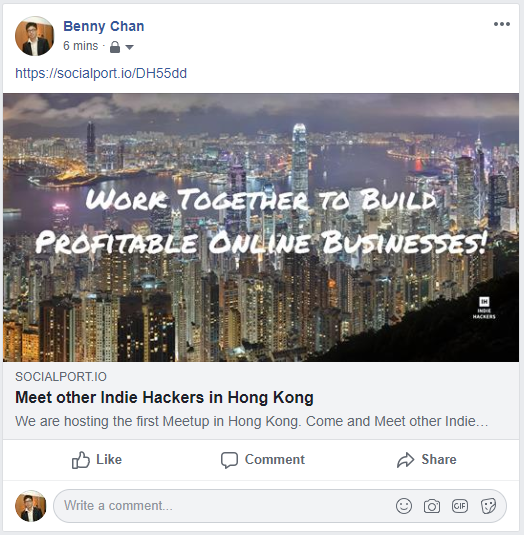 A few days ago, I was trying to host the first local meetup event for Indie Hackers in Hong Kong. 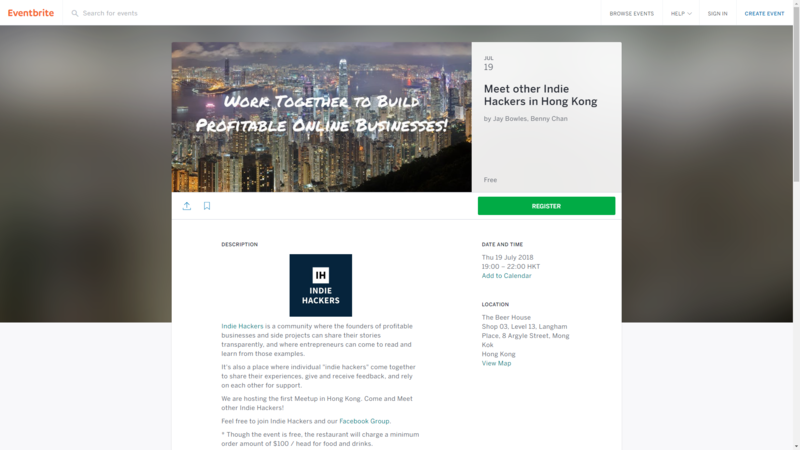 Indie Hackers is a community where solo developers, designers, and founders can share our own experience in developing our bootstrapped digital product business. I was very happy when I became the community ambassador in Hong Kong. After editing the event details, it looked great! I was eager to press the publish to make the event live for registration. And so here it goes! Look cool right? However, when I share the event page to Facebook, it looked miserable. I was not sure why I couldn't edit the link preview on Eventbrite web portal. Also, it won't load the rectangle banner on the event page. Now it looks like an ad for Eventbrite. There is no way to edit the link preview on Facebook either. It was not my intention to post an ad for Eventbrite! So I use my own product to fix it. I created a socialLink (you can copy and test it on Facebook too) and post it in my own timeline. And it looks great again! I hope the article will be useful for other event organizers who feel sad about Eventbrite. Feel free to create a free trial account on SocialPort.io! What can I do with SocialPort?